Microsoft 4Afrika Initiative, MyDigitalBridge Foundation, MCA-N (Millennium Challenge Account Namibia) are bcollaborating on a pilot project in Namibia dubbed Citizen Connect. Through this communities and schools in Namibia will be supplied with affordable broadband internet via TV whitespaces technology. Namibia’s Citizen Connect goes live in the first half of 2014 supplying broadband internet to 34 schools over 3 regions: Ohangwena, Omusati, Oshana. Project infrastructure is to be openned up to third party social entrepreneurs in future through which more citizens shall be connected to government e-services. 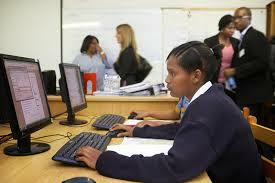 Three other such projects by Microsoft are underway across the continent in Kenya, Tanzania, South Africa. The Namibian project is part of a campaign to improve Africa’s lot through internet connectivity. Already, the continent leads in mobile penetration rates but lags in the availability of wireless broadband. Emerging markets – among them Africa – continue to attract major investments and improved communication links might just be what makes them competitive. Facebook, Microsoft and Google have both invested greatly in the promotion of affordable internet the world over. Similar to Microsoft, Google has a number of TV white space initiatives on the continent supplying broadband internet to African learning institutions. When viewed in light of Google’s Project Link, recently unveiled in Uganda, the continent is making major steps towards universal access to broadband internet. The anticipated success of white spaces has prompted the creation of the Dynamic Spectrum Alliance – a lobby group pushing for policies that will guide use of TV white spaces globally. The alliance counts Microsoft among its members.